The firing activities of multiple timescale dynamics for single neurons can be treated with fractional-order derivative. It has been shown in previous studies (theoretical and experimental) that the passive properties of membranes may be considered by fractional-order dynamics as it can produce various types of memory-dependent dynamics. Spiking and bursting play major role in information processing for cortical neurons. However, it is not completely clear to what extent the dynamics of fractional-order excitable systems may redesign the properties of excitable cells. It is demonstrated that the fractional dynamics of Izhikevich neuron model is capable to exhibit various oscillations for cortical neurons such as regular spiking and various bursting patterns, mixed mode oscillations, chattering, fast spiking. It characterizes various firing modes (hence the firing frequency) better than the classical-order model. It shows the dynamical differences between the integer-order and fractional-order system. The firing frequency is increased with the decrease of fractional exponents. Further, the responses of a network of excitatory and inhibitory Izhikevich neurons with a controlled parameter set show different dynamical behavior at various fractional orders and it controls the long-term interactions. 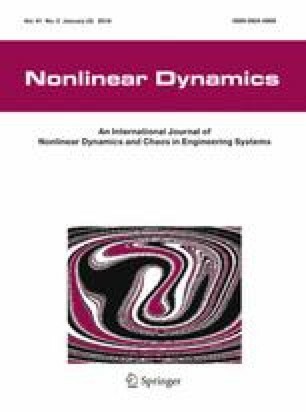 The authors are thankful to Dr. Wondimu W. Teka (Department of Mathematical Sciences, Indiana University–Purdue University Indianapolis, Indianapolis, IN, USA) for his valuable constructive suggestions, numerical support and valuable comments for the article. This work is supported by the Council of Scientific and Industrial Research (CSIR), Govt. of India, under Grant No. 25 (0277/17/EMR-II) to the corresponding author (R. K. Upadhyay).